NOT A Daily Rental, NO WEDDINGS please do NOT ask! ***Please Check the RATES section, there is a minimum. **USE EMAIL FOR QUESTIONS - it is much easier, thank you. SORRY) corporate meetings, families, or high security. Ocean Vu (Not Ocean Front) 5000 sq ft.
in Laguna Niguel (Niguel means Hill Top). two guest houses with private entrances). Norman motif and captivating flair; a definite must to experience! 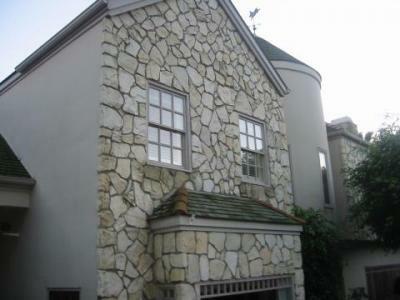 fireplace, several patios, dining area & elaborate fine dining room. cocktails or morning coffee, overlooking the ocean and hills. Includes an outdoor Jacuzzi and well heated pool. the best restaurants in the entire county. * 45-foot cabin cruiser charter at a 50% discount available. trails. Bike Path to beach etc. * Exquisite linens, and super luxury towels. a walk in closet, Ultra comfortable robes and towels, etc. *Very Private Playgrounds accross and down the street. Racetrack! to every corner of Los Angeles. quote. Kids and Kids ages are also needed. *That is $849/night x 7 days for 8 people, nine days also works well. Thanksgiving or Christmas/New Years. etc. extra people charges may apply.